Click here for more Street Fighter x Tekken! Click here to Watch the whole FF XIII-2 Intro! New Downloadable Content for FFXIII-2 - Find Out More! 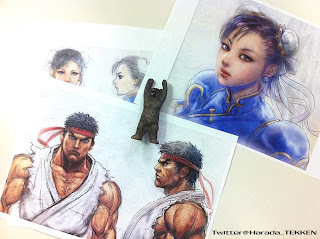 Click here for more on Tekken x Street Fighter! Seeing these makes me want to see Ryu's Hadouken in 3D! Click here for More On Final Fantasy 13-2!